Facebook’s open-source AI framework PyTorch is one step closer to being production ready. The company announced what’s new in PyTorch 1.0, which is now available as a developer preview. PyTorch is a deep learning platform for everything from research prototyping to production deployment. It features a hybrid front-end, distributed training, deep integration with Python and an ecosystem of tools and libraries to support computer vision and natural language processing. The hybrid front-end is a latest addition to version 1.0 and will provide tracing and scripting of models from eager mode into graph mode, the company explained. A revamped torch.distributed library has also been added for enhanced training across Python and C++ environments. In addition, the platform is seeing support across the industry. Amazon’s machine learning platform SageMaker now includes pre-configured environments for PyTorch 1.0. Google will be providing PyTorch 1.0 integration across hardware and AI tools. Microsoft, who is already partnered with Facebook on the AI initiative ONNX, is providing support for PyTorch within its machine learning offerings. Other companies who have announced their support for the platform include ARM, IBM, Intel, NVIDIA and Qualcomm. “PyTorch 1.0 accelerates the workflow involved in taking breakthrough research in artificial intelligence to production deployment. 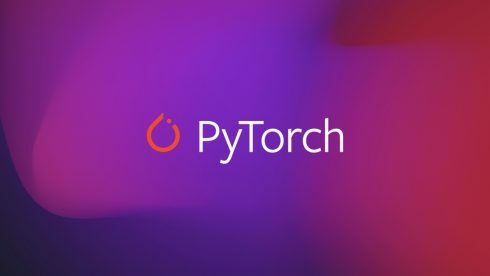 With deeper cloud service support from Amazon, Google, and Microsoft, and tighter integration with technology providers ARM, Intel, IBM, NVIDIA, and Qualcomm, developers can more easily take advantage of PyTorch’s ecosystem of compatible software, hardware, and developer tools. The more software and hardware that is compatible with PyTorch 1.0, the easier it will be for AI developers to quickly build, train, and deploy state-of-the-art deep learning models,” Joseph Spisak, product manager for AI at Facebook, wrote in a post. PyTorch is also seeing a number of education providers get involved with deep learning online programs and courses. Udacity has partnered with Facebook on a free deep learning course that is taught on PyTorch. Fast.ai, an online education provider, has announced an open-source software library built on PyTorch 1.0.